Hogs Galore F.L.P. is a family owned pork producer located in Centre County, Pennsylvania. We control the total process from feed recipe and manufacturing to presentation for your table. 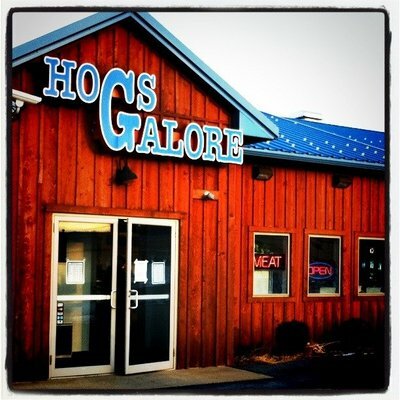 We Feature: USDA Inspected Plant,Wholesale, BBQ Restaurant & Meat Market in Philipsburg, PA, Catering for Parties or Meetings of any Size, Wedding Catering and Rehearsal Dinners,Tailgating packages, Pig Roasts and Much, Much More!